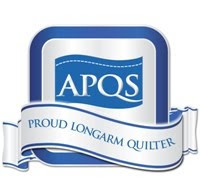 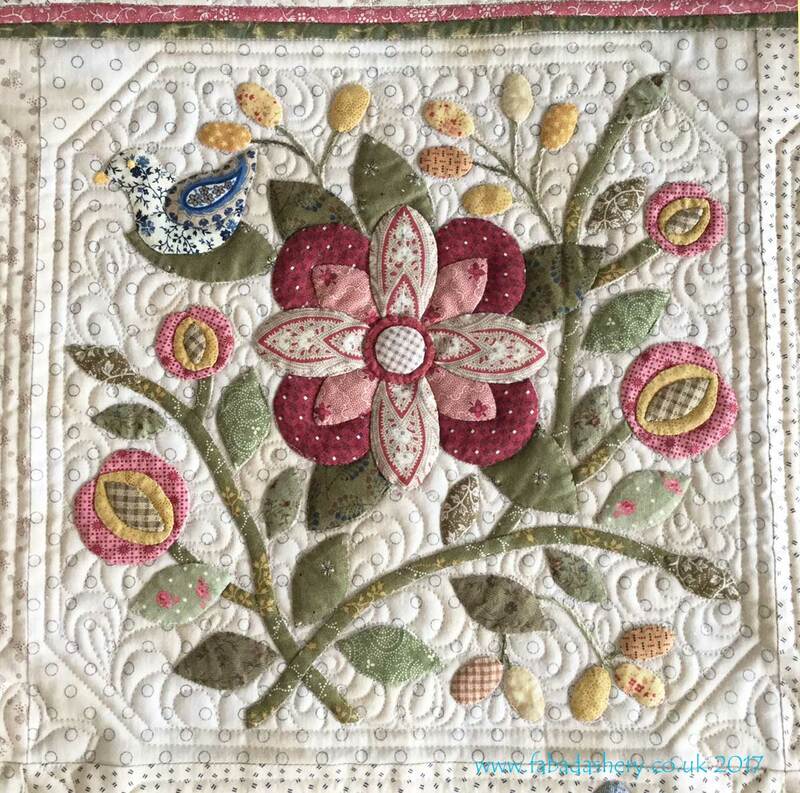 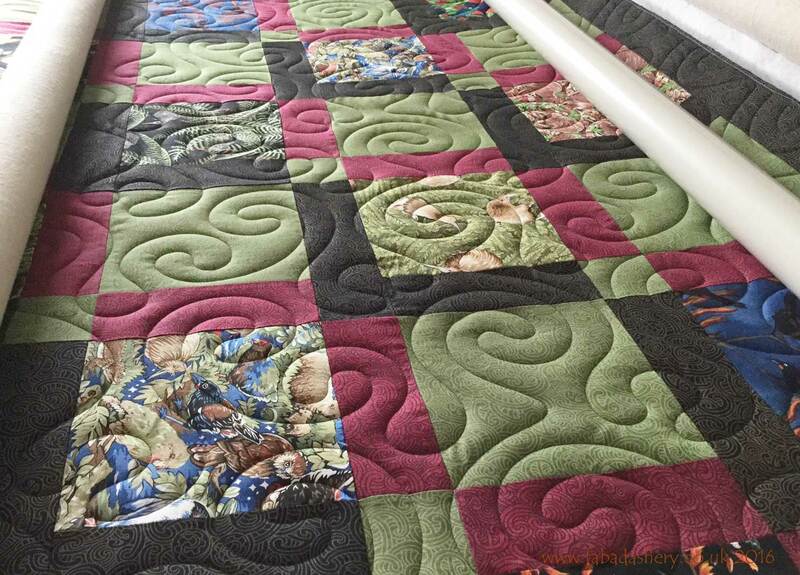 The wedding season is truly upon us and now the special dates have passed I can start to show some of the lovely quilts which have been gifted. 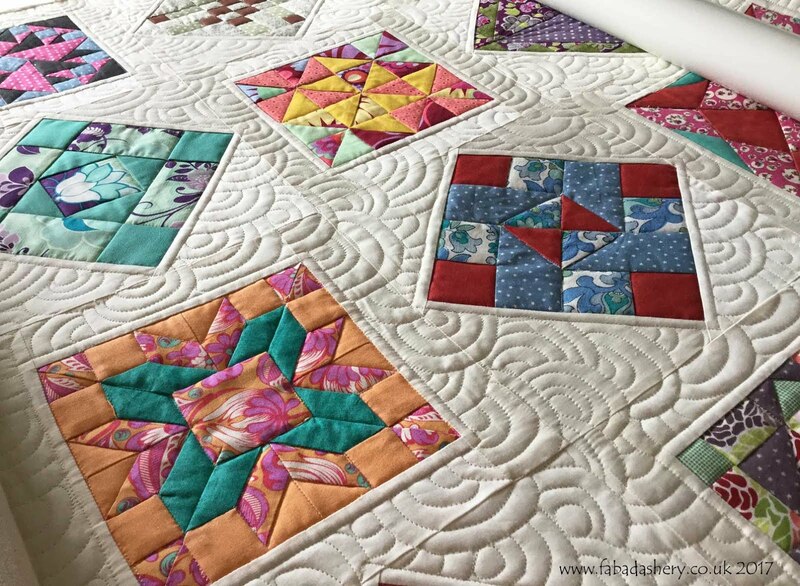 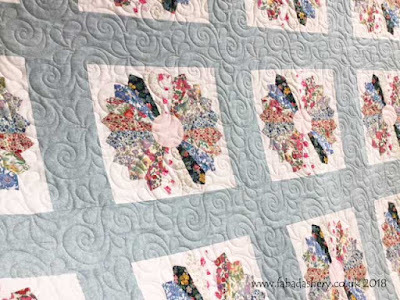 This is a lovely Dresden Plate quilt made by Camilla. 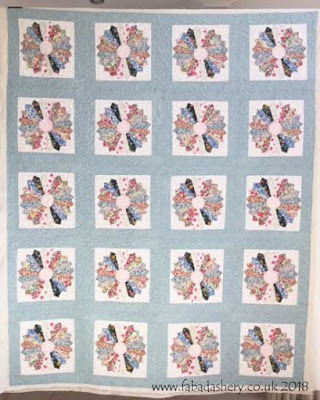 The twenty plates are made from Liberty fabrics and are sashed with a lovely soft blue fabric. 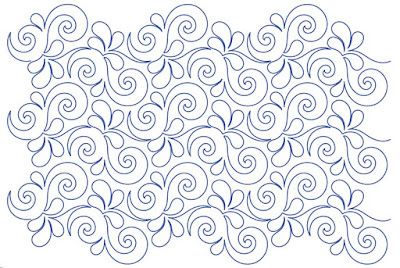 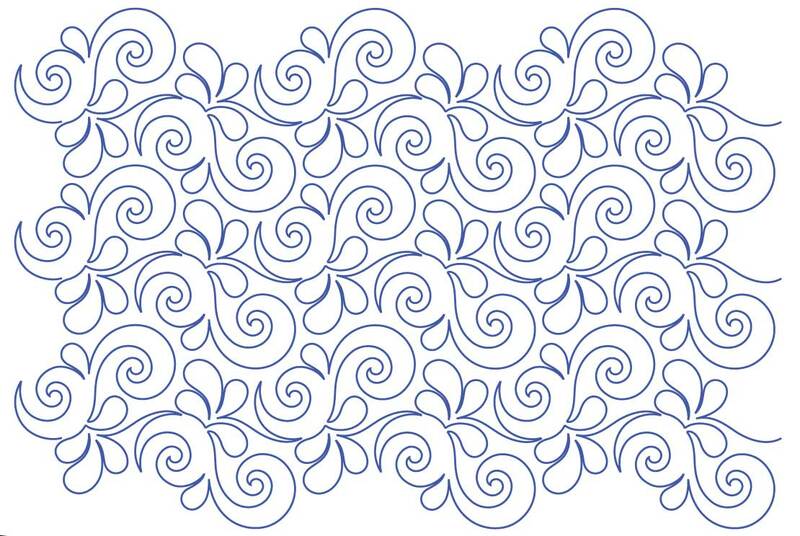 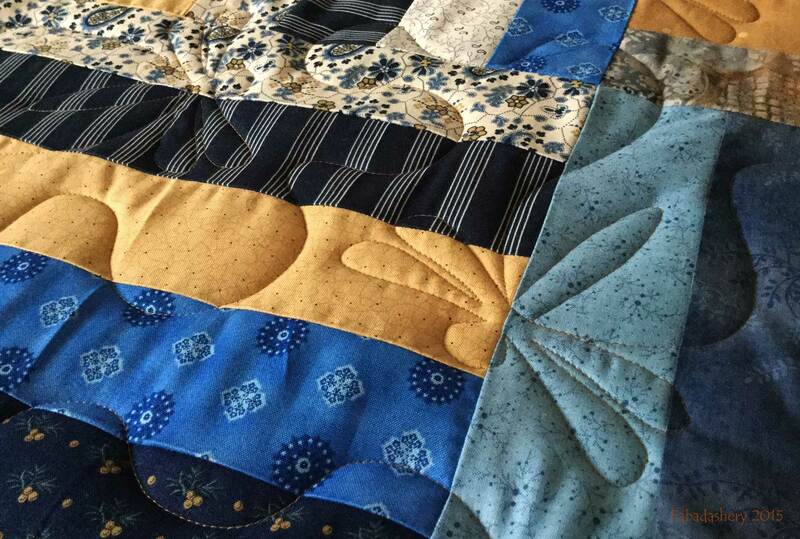 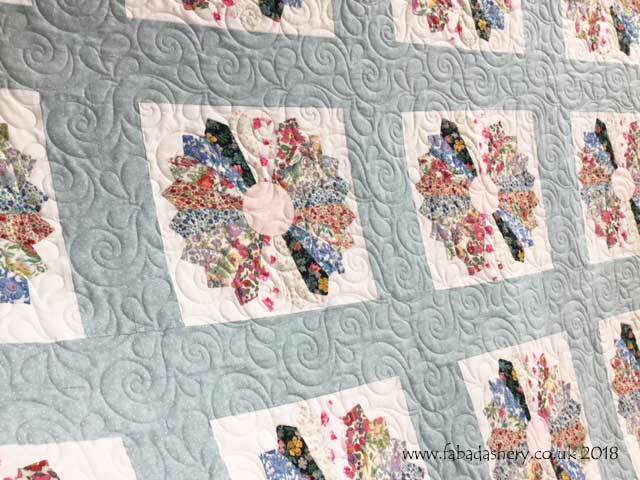 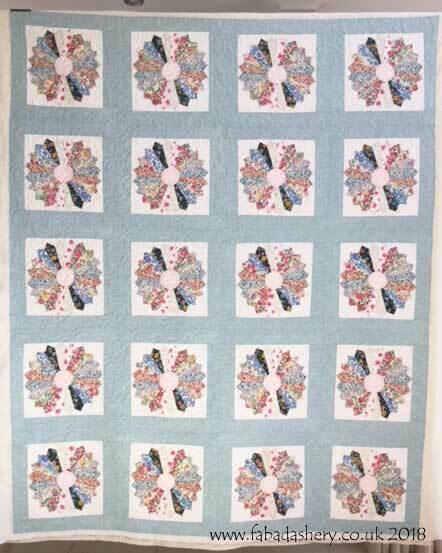 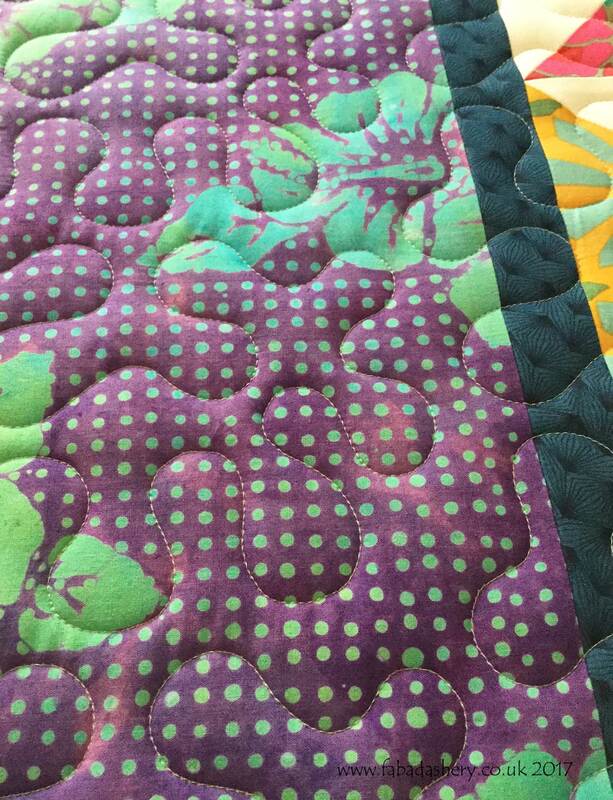 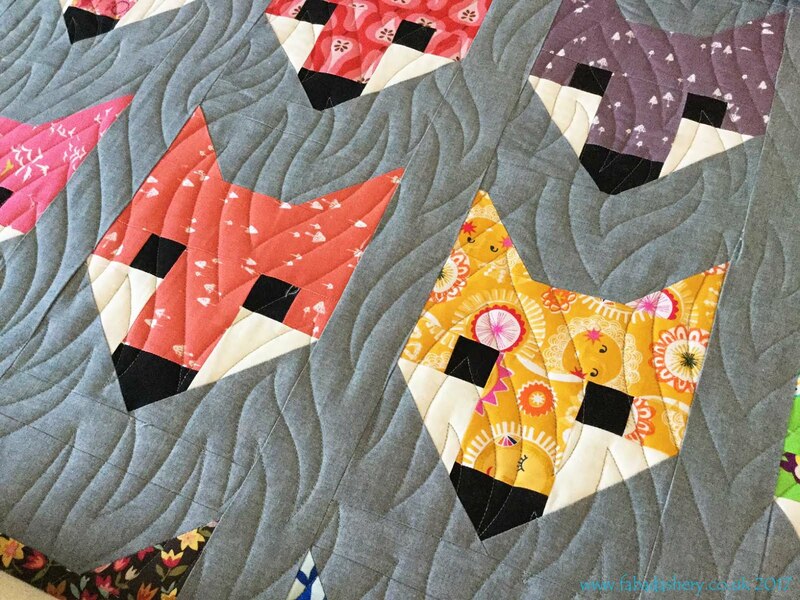 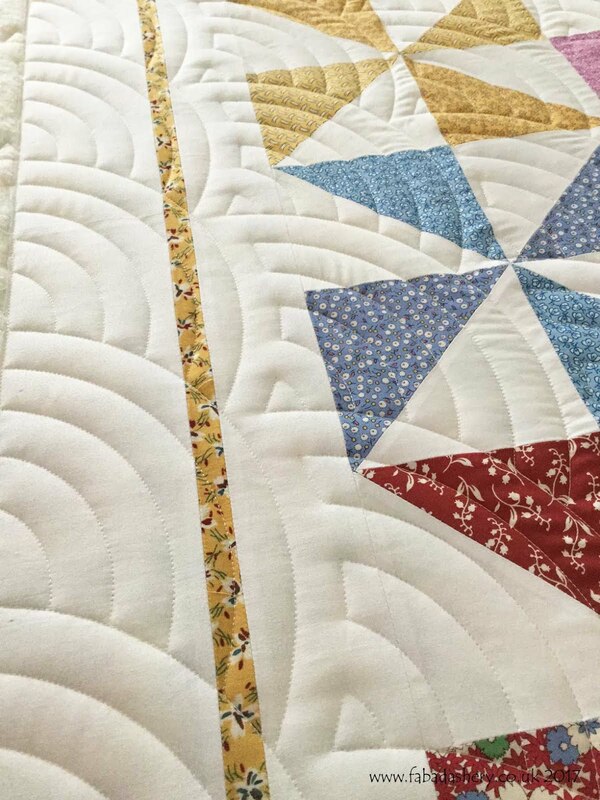 Camilla chose swirly, feathery quilting pattern called 'Wave On Wave' designed by Patricia Ritter, and we chose a Warm Grey Glide thread to stitch out the pretty pattern. 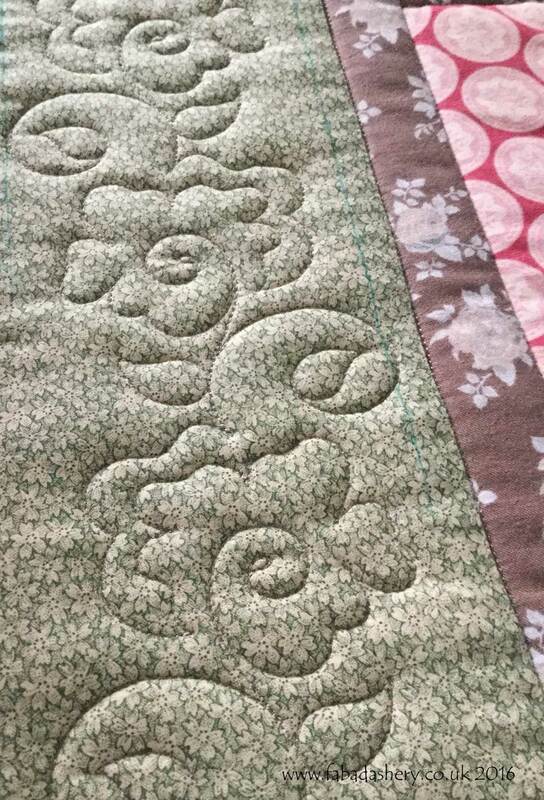 As it was a wedding present, Camilla also took advantage of my Quilt Label service to record the special event.